Do you have any idea what's it's like to travel to Wakanda? It makes going through customs look like an easy-breezy trip to the convenient store. Just getting our hands on a plane ticket to the lovely Sub-Saharan country has been a complete nightmare since flights are booked out for the next year. It's no surprise though; everyone wants to visit the magic of Wakanda in person after seeing the beautiful nation on the silver screen for the first time. But we'll be patient and remain vigilant, just like our idol T-Challa, and remain hopeful that we'll someday see all the beauty Wakanda has to offer and also snag just a teeny bit of Vibranium for ourselves. 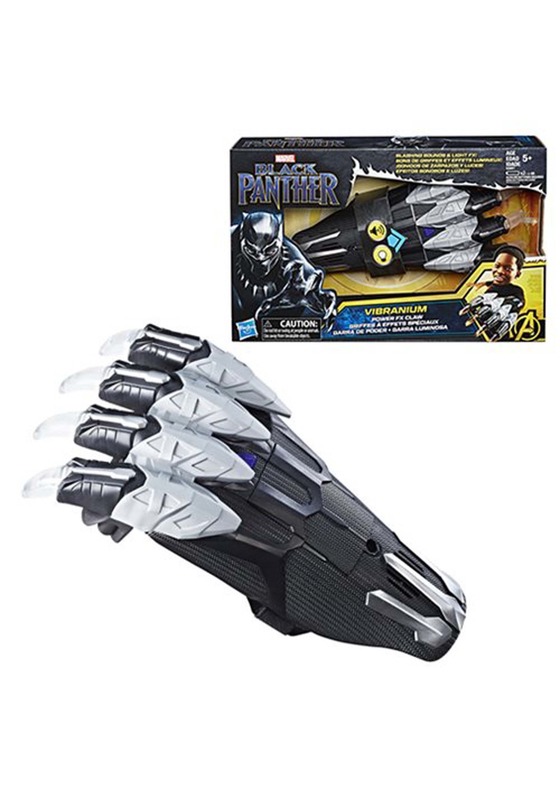 Until then, this Black Panther PowerFX Claw has the power to tie us over! The officially licensed toy/prop requires 2 AA batteries in order to function properly. Once inserted, the fun begins! Clawed glove stays attached to hands via a hook and loop fastener on the glove's interior and once the claws are pressed against a hard surface, it makes slashing sound effects and also lights up. Complete any Black Panther costume by wearing the Vibranium claw as an accessory and let us know if you hear of any Wakanda flights opening up.